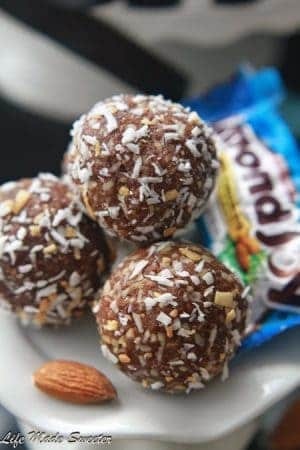 No Bake Energy Bites made with ONLY 5 ingredients! Best of all, this recipe is so simple to make. With back to school season soon upon us, energy bites are a tasty solution for a quick boost of nutrition. 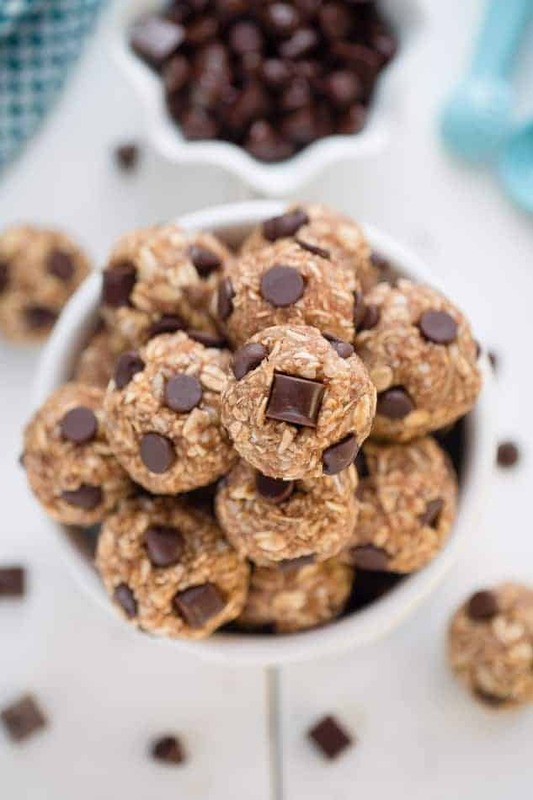 These healthy No Bake Energy Bites with Peanut Butter and Chocolate Chips are gluten free, loaded with protein, fiber and clock in at just 94 calories. The best part is, you can easily make them ahead of time and pack them for on the go. Plus, this recipe is made in just one bowl and makes a large batch so you can meal prep and have them ready for whenever you need it. 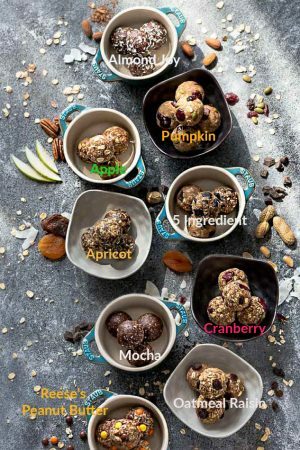 They also make the perfect little pick-me up for before or after a workout and are just enough to satisfy that sweet tooth craving. You can easily use your favorite nut or seed butter you have in your pantry. 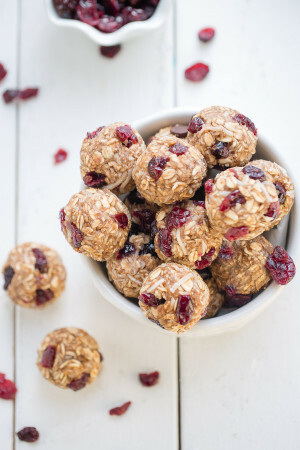 If you are looking for a recipe without any added sweetener – you can use banana instead like I did in the Cranberry Energy Bites and feel free to swap out the chocolate for nuts instead. 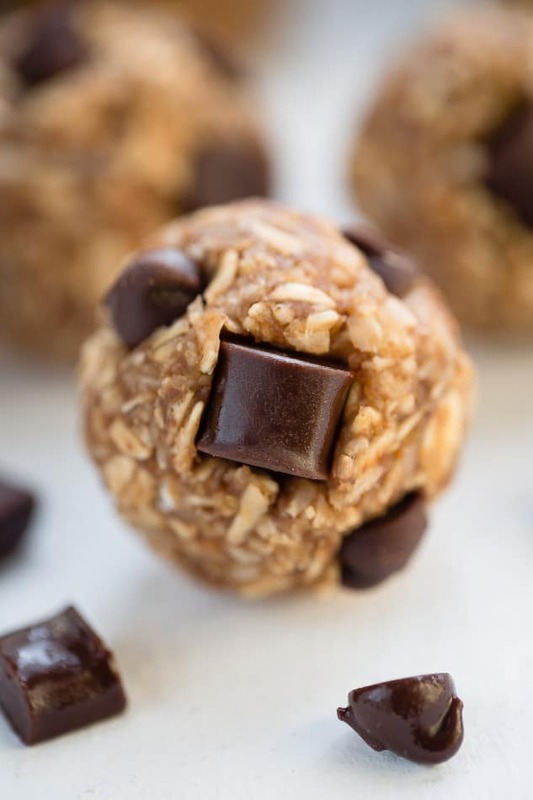 They are completely NO BAKE and make a delicious healthy snack. We love making a double batch and enjoying them straight from the fridge when we need a quick pick me up. 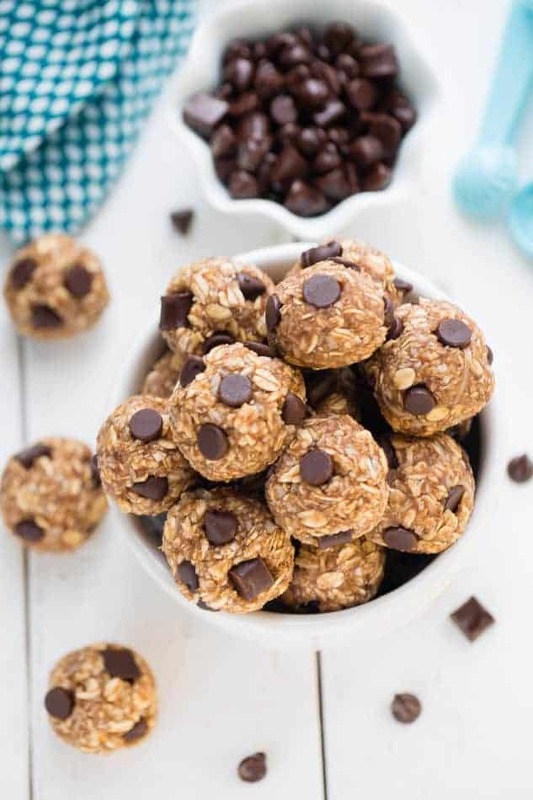 No Bake Peanut Butter Chocolate Chip Energy Bites make the perfect grab and go snacks for on the go with easy to find pantry ingredients. Stir in shredded coconut, oats and salt and mix until well combined. Add optional add-ins if desired. Fold in chocolate chunks/chips. Wet hands slightly and form dough tightly into 1" - 1.5" balls. If dough doesn't stick together add 1/2 tablespoon water (or melted coconut oil) at a time until dough comes together or place dough in the fridge for 30 minutes prior to forming dough balls so it's easier to handle. Press additional chocolate chips evenly around dough, if desired. **You can form these into cookies or granola bars by flattening the dough in an 8x8 square pan if you prefer not to roll them out. Store in an airtight container for up to one week in the fridge or up to 3 months in the freezer. months. Allow to sit out for 10 minutes from the freezer before serving.